I was going to start out the new year with all sorts of encouragement about fresh starts, resolutions and what a hopeful year this promises to be. 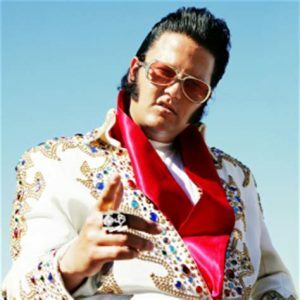 But a quick glance at the calendar quickly disabused me of any notion of improving or uplifting mankind because today is a significant day – Elvis Presley’s birthday. All of us of a certain age have been influenced by him, or at the very least, his music. My favorite movie with him was Blue Hawaii and I choose to remember him as that ukulele-playing, handsome heartthrob. But the fact is that had he lived he would have been 81 years old today. Seems hard to imagine Elvis as an old man, adjusting his dentures and screaming “whaaaat?” to his friends and family. I want to remember him with the likes of Marilyn Monroe and Princess Diana – died young and that’s how he’ll stay forever. I thought I knew a fair amount about Elvis until I started doing some research. Like so much else in my life, I’m a lot more ignorant on the subject than I thought I was. 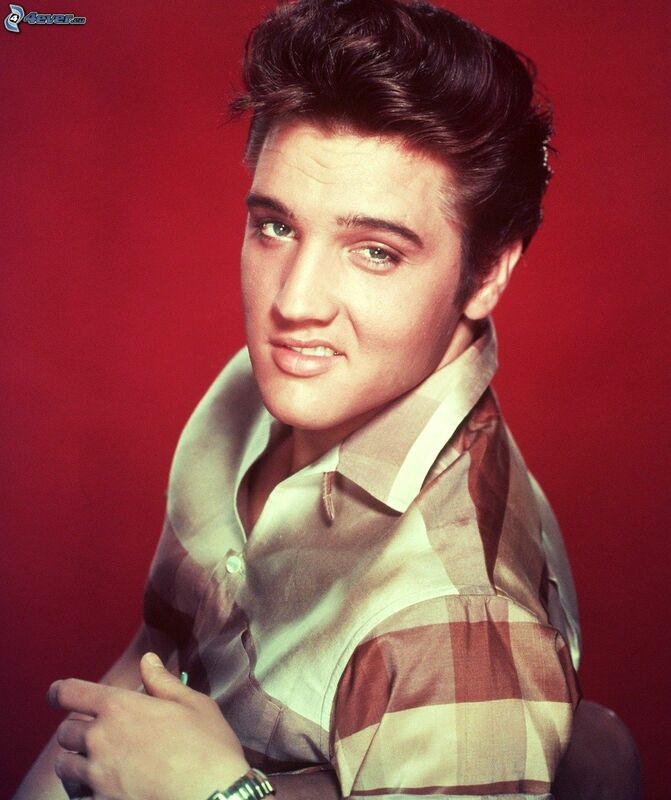 So…here’s a few little known facts about Elvis to commemorate his birthday. Elvis was a twin. Yep – the King of Rock might have been the Prince of Rock. He was the second son born to his mom and dad but his older brother died at birth. It’s good he isn’t in school now. Wood shop was Elvis’s favorite subject in high school. He didn’t like music that much and only got a guitar when his mom surprised him with one on his birthday. Elvis wasn’t big on travel. He only ever performed outside of the United States three times, and all three times were in Canada. In 1957, he played Ottawa, Toronto and Vancouver. “Maria” could have been his big hit record. Elvis was originally pegged to star as Tony in the musical West Side Story. His manager Colonel Tom Parker nixed the idea, however, and the part went to Richard Beymer. This could explain his weight gain. Elvis only ever endorsed one product in his lifetime: Texas-based Southern Maid Doughnuts. Only his hairdresser knew for sure. 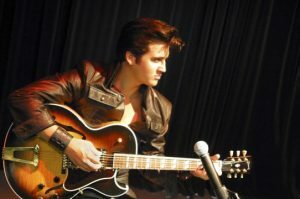 Elvis’s natural hair color is brown; he dyed his hair black. Elvis was his own security squad. He was a karate black belt. Where were the candelabras? 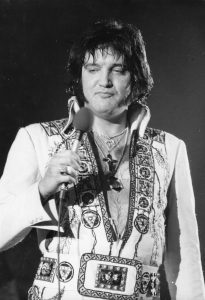 The idea for Elvis to wear more flamboyant outfits in concert came from none other than Liberace. He could have lived in Beverly Hills or Scottsdale. Elvis went under the knife in the 1970s, receiving a nose job and two facelifts. He wanted to be the Godfather. One film part Elvis always wanted to play but was not considered for: Don Corleone in The Godfather. Hard to imagine him making an offer than someone couldn’t refuse.